Customers. Employees. Profits. Losses. Bills. Competition. These are just some of the things you must be concerned about when you’re in charge of a small business. Even success can be a concern. If you’re successful, you might have to expand – and it’s ok to admit that poses some potential for some stress! You could finally buy a building to call your own, or maybe you need to simply expand your current building. You might think, “this expansion will take forever and cost me a lot of time and money.” In fact, if you decide to build a pre-engineered steel building, you’ll see how easy it is to improve your business without missing a step. You want to get back to work quickly, right? When you shop for a new steel building, you don’t need to be an expert. Once you lock in your steel price with an engineering payment, you will be assigned a project manager. A project manager will guide you through the design process and will be available to talk to you throughout the process, should you have any questions. You can also find a local contractor if you need help erecting your pre-engineered steel building. You might not need one, because you might be able to erect a pre-engineered building on your own without a contractor! At the end of the day, you have to be the one to dictate what you want and pay for the building itself, and other services like land grading and foundations. Doing a little research will typically ensure you’re making the right decisions. Plus, there are plenty of blogs on the Armstrong Steel Network you can use to familiarize yourself with the steel building purchase process. A pre-engineered steel building is just what it’s name implies and will arrive to your build site ready to be erected. Since it’s pre-engineered and personally designed to your specifications, you usually won’t have to make any on site alterations. This typically means your building can be erected in as little time as a few days and not usually longer than a few weeks with a recommended 5-7 man erection crew. A speedy erection time means that you can move into your new building quicker compared to constructions made with wood or brick. if you build with wood, you more than likely will have a fair share of field fabrication ahead of you. The possibility of mold being present on your lumber is a threat you’ll avoid with steel buildings. Steel is inorganic, and doesn’t encourage the growth of mold or fungi. A brick building requires you to replace whole walls if there is damage to a small section. Once your building is up and ready to go, you can continue your business practices from your new building as planned – or maybe even sooner! We believe a quality pre-engineered steel building will come with a 50-year structural warranty, a 40-year paint and wall panel warranty, and a 35-year roof panel warranty. As a small business owner, you understand warranties like this imply strong confidence in a product and you should share that confidence when you make a purchase. A pre-engineered steel building is custom built to withstand the elements and seismic factors in your area. Did you know a steel building is designed differently based on your location? Remember our catchy title? You want to work in your building, not on it. Pay attention to your repeat customers and conduct business as usual without having to worry about replacing wood boards or chipped brick every few years. Your concentration should be on your company, not your building! Steel buildings require little to no maintenance and last for decades. Expansion is success. Talk with your project managers in the design process. Even if you aren’t thinking about a future expansion, pre-engineered steel buildings are bolt together and easily expandable. Don’t just keep up with the competition, surpass them build a pre-engineered steel building. 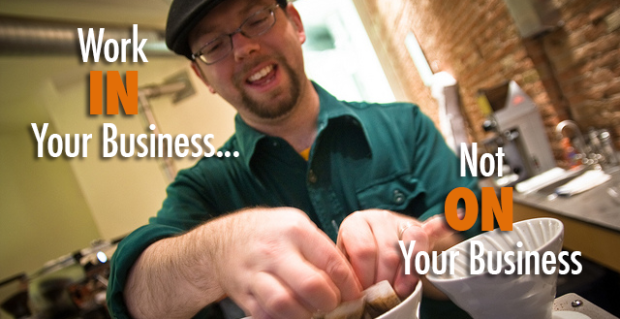 Your small business is important to you and it also requires a lot of attention. Don’t neglect your business just because you want to expand. A pre-engineered steel building will allow you to expand and grow while you give your small business the attention it deserves.